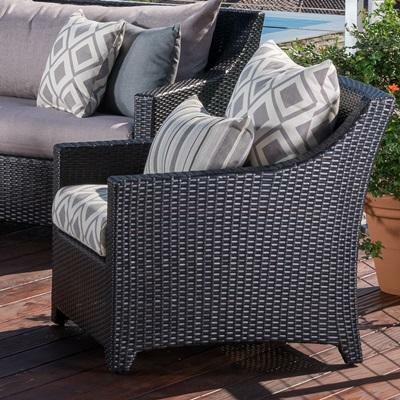 The perfect patio doesn't just make a statement, it should be the perfect place to relax and get away from it all. 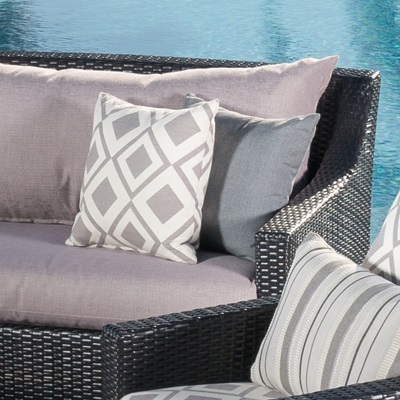 Our Deco Club Ottomans add comfort to any outdoor furniture collection, providing additional seating for guests or a stylish place to put up your legs. 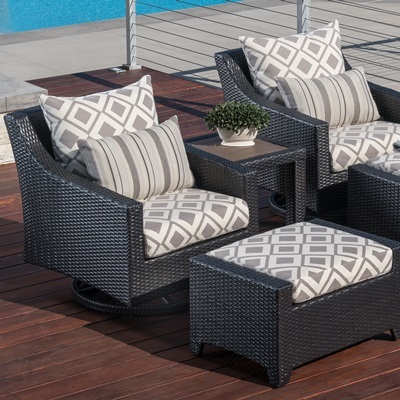 Because they're constructed with high quality, powder coated aluminum frames and all-weather resin wicker, you can enjoy them anywhere and at any time of year. Includes two club ottomans with cushions.